Eugene Cernan (pronounced 'Sernan') was born in Chicago in 1934. His father was Slovak and his mother was Czech. He grew up in Maywood, Illinois where he attended Proviso East High School. 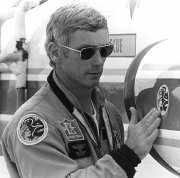 Like fellow astronauts Neil Armstrong and Buzz Aldrin, Cernan went to Purdue University, later becoming a US Navy aviator, flying jets. He has degrees in in both Electrical and Aeronautical engineering. 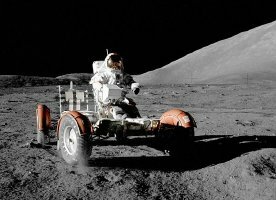 lunar rover, collecting geological samples. Cernan is married to Jan and they have three daughters, and one grandchild. 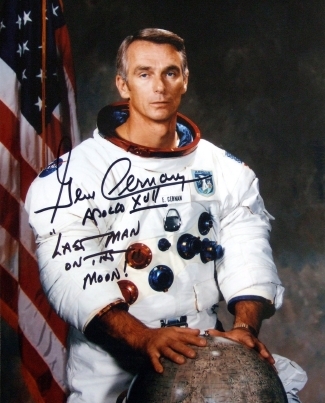 Cernan was one of fourteen astronauts selected by NASA in October 1963 to take part in the Gemini and Apollo projects. He was a pilot on Gemini IX in June 1966 and became the 2nd American to walk in space. The Apollo 17 mission ended with a successful splashdown in the Pacific Ocean on 19th December 1972. 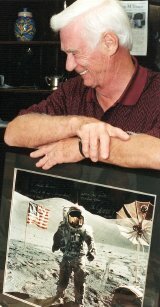 In 1999 Cernan (with the assistance of journalist Don Davis) wrote a book called The Last Man On The Moon which covers his entire astronaut career from his first flight on Gemini IX to Apollos 10 & 17. 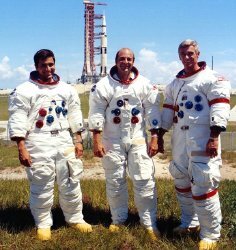 Captain Cernan's next space flight was as lunar module pilot, alongside Tom Stafford and John Young, on the historic Apollo X mission which was a really a "dress rehearsal" for the first manned moon landing in May 1969. The mission also photographed possible landing sites for future missions. 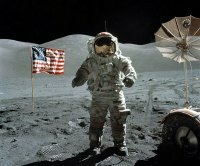 Gene Cernan was the last man on the moon. 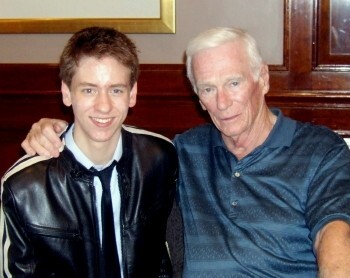 I met him at Autographica in London in October 2007. You can see him signing one of his official NASA photos for me in the photograph below. "As we leave the Moon at Taurus-Littrow, we leave as we came, and God willing, as we shall return, with peace and hope for all mankind. As I take these last steps from the surface for some time to come, I'd just like to record that America's challenge of today has forged man's destiny of tomorrow. 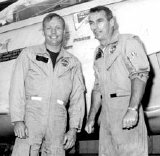 Godspeed the crew of Apollo Seventeen." and induction into the U.S. Space Hall of Fame. 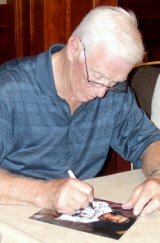 Gene Cernan died on 16th January 2017, aged 82.